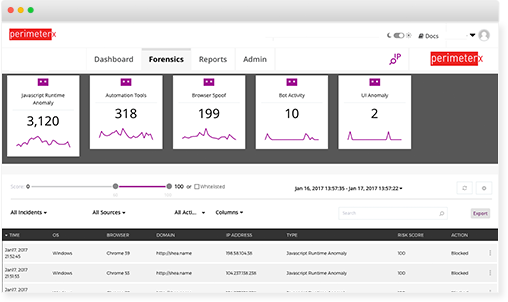 PerimeterX Bot Defenderis compatible with your existing infrastructure, including on-premise, cloud and CDN. What’s more, you don’t need to invest in hardware or deploy as an appliance or proxy service, or be placed inline of website traffic. 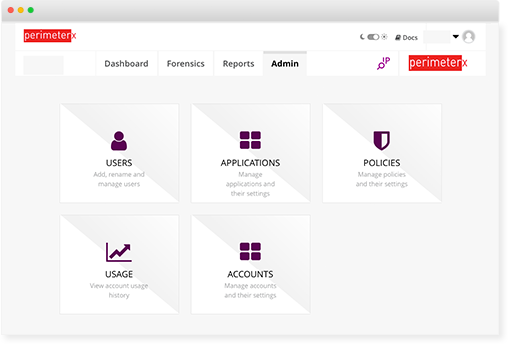 You can deploy seamless protection within minutes.